Jack Nicklaus and Tony Jacklin have co-authored a foreword for Draw in the Dunes, a book released this month that documents the 1969 Ryder Cup, during which Nicklaus conceded the last putt to Jacklin, keeping the Cup for the Americans while letting the British walk away with their most successful Ryder Cup result in years. From this event and unparalleled act of sportsmanship, which came to be known as “The Concession,” Nicklaus and Jacklin forged a lifelong friendship and ushered in a new era of golf. Many consider the 1969 playing of the Ryder Cup the climax of the biennial golf matches between the United States and Great Britain. The United States, led by Ryder Cup rookie Jack Nicklaus, had dominated competitive golf for years; Great Britain, led by Tony Jacklin, was the undisputed underdog. But in spite of having lost 14 of 17 Ryder Cups in the past, the British entered the 1969 Ryder Cup as determined as the Americans were dominant. The event was the most compelling, controversial, and contentious Ryder Cup the sport had ever seen. 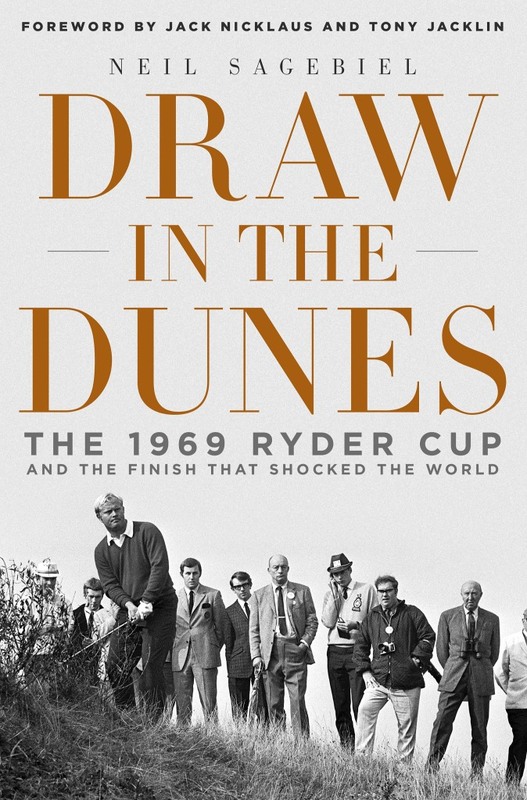 Draw in the Dunes is a story of personal and professional conflict, from the nervousness displayed at the very beginning of The Ryder Cup matches—when one man could not tee his golf ball—to the nerve displayed by Nicklaus and Jacklin, who battled each other all the way to the final moment of the final match. Throughout the Cup, 17 of the 32 matches were not decided until the final hole. Most electrifying was Nicklaus and Jacklin’s contest, which decided the fate of The Ryder Cup. From the author of the critically acclaimed golf history book The Longest Shot, Draw in the Dunes is the gripping account of a legendary Cup competition, and the story of golf’s greatest act of sportsmanship. The book may be purchased from Amazon or Barnes & Noble.